Another odd whisky, this time a creation of indy whisky maverick Ichiro Akuto (Hanyu, Ichiro's Malts) from Japan. Unusual because it is made up of single malts from more than one Japanese distillery. This is odd because it is not the practice of Japanese distillers to trade casks between distilleries and distilling companies like they do in Scotland. I imagine this is a limited release (can there be enough casks to continue the supply?) although the bottle or literature offers on clues as to just how limited. Gavin D. Smith and Tom Cannavan's Whisky-Pages and the Number One Drinks Co. tells us that half of the stock is allocated to Japan and the rest is sold in specialist shops throughout the world. On the excellent Nonjatta, Chris offers some explanation of the origins of the name 'Ginkgo'. For more Japanese whiskies enjoyed on the mission (more to come tomorrow and next week) click HERE and for more from Ichiro Akuto or Hanyu click HERE. Slightly solvent initially, nailpolish, that opens up with floral aromas up high and sweet butter down low. Edinburgh rock. Clean and grainy with some citrus, plums, plastic bags and envelope glue. Water unleashes more breadiness and citrus, grapefruit (not pink) skin, and the harder solventy edges dissipate. Rich, toasty, charming... with a dark side. Burnt sugar, toffeed, malty sweetness, some fruitiness in the form of apples, but generally oaky and toasty. Some smoke comes forward late in the development, especially accented by the addition of water. Minutes later there is a herbal, floral element that still lingers. Was not crazy about the unreduced nose, although there was some fruity sweetness , it was generally hard, acetic and aldehydic. Water greatly assisted here bringing out the caramel and toasty barley sweeness. On the palate, water was also an aid in adding width to the flavour impact and opening up some dark, smoky corners. See Nonjatta for Chris' tasting impressions. 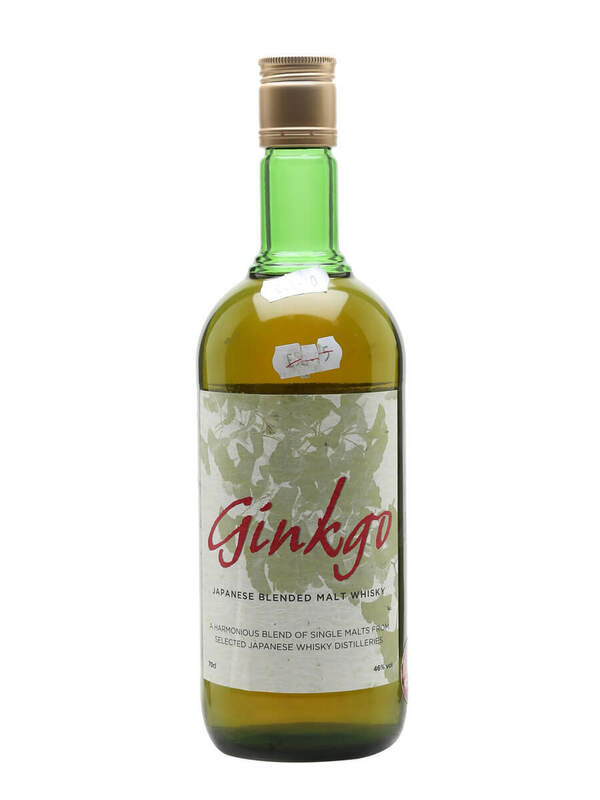 I think there are 6000 bottles of Ginkgo in the current release. I heard also that about half was going abroad, so 3,000.